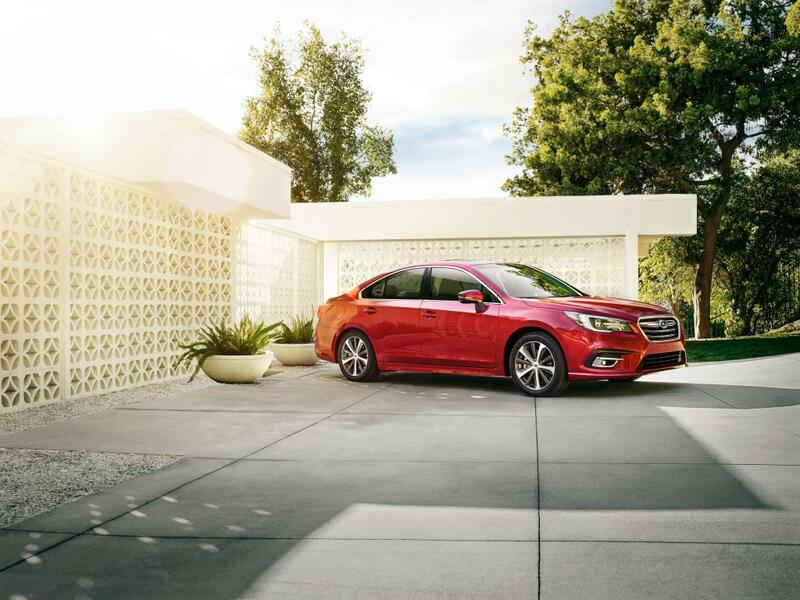 The 2019 Subaru Legacy cuts an ever-powerful presence. The boldly styled front bumper, chrome accented fog light covers and wide lower front grille create a sporty look overall. The hexagonal front grille and hawk-eye headlights convey sheer confidence. The steeply raked windshield and coupe-like roofline create an engaging silhouette. The trunk lip spoiler and an elegantly designed rear bumper finish things off handsomely. This is curb appeal taken to new heights. There are three different lightweight and aerodynamic alloy wheels available on the new Legacy, all of them designed for better handling, stability and all-around performance. Touring trim level models feature new 17-inch 15-spoke wheels with a high-gloss dark metallic finish. Limited trim level models showcase black and machine finish 18-inch wheels with high-relief design. Sport trim models feature high-gloss machined 18-inch wheels with split 5-spoke design. Whether it’s sundown or you’re driving through a tunnel, these headlights automatically turn on in low-light conditions. They are also activated automatically when the windshield wipers are in use for improved visibility in bad weather. All models with the optional EyeSight Package feature High Beam Assist, which automatically turns the high beams on and off to avoid distracting other drivers. The Legacy Sport 2.5i, Limited 2.5i and Limited 3.6R all feature new LED steering responsive headlights. 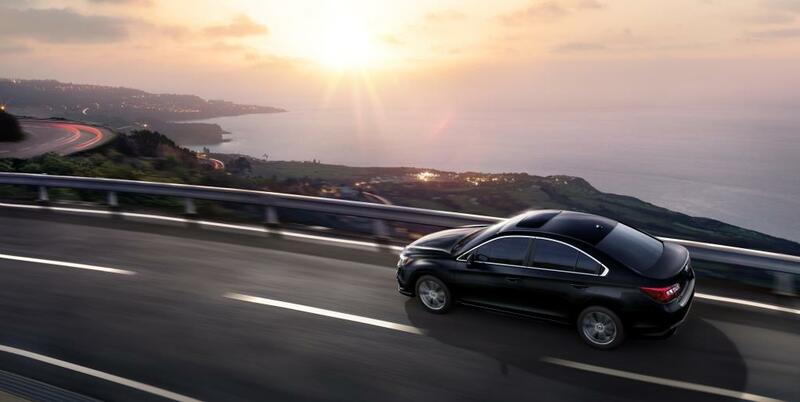 For added nighttime security, the Legacy also features standard welcome lighting, which sees the headlights and interior lights automatically turn on as the driver approaches or leaves the car. 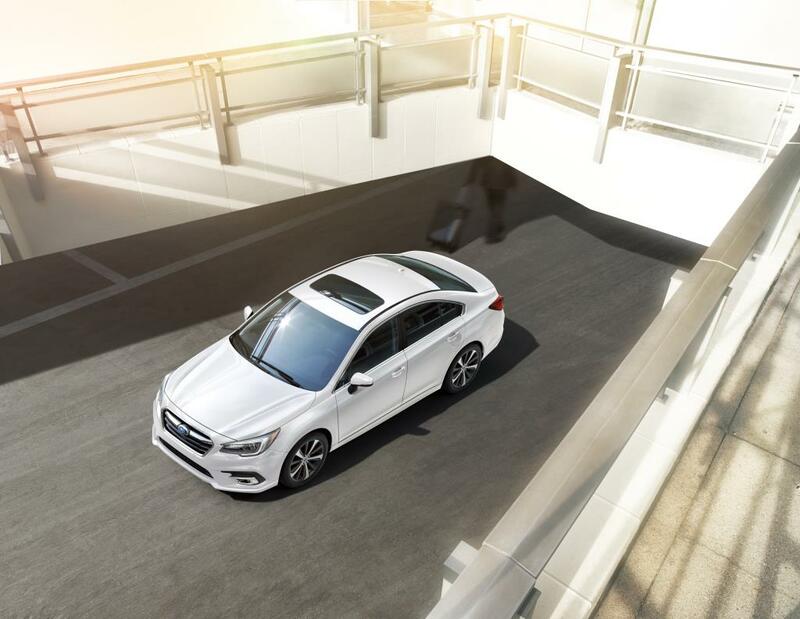 The 2019 Subaru Legacy features enhanced aerodynamics courtesy of the standard integrated trunk spoiler, streamlined side rocker panels, sleek roofline and side mirrors. The Active Grille Shutter, standard on all Legacy 2.5i models, boosts fuel-efficiency by closing the front grille to reduce wind resistance.. Redesigned for even better aerodynamics and reduced wind noise, the generous side mirrors are integrated into the doors and power-adjustable to ensure superior sightlines. The mirrors are heated to help keep the glass surface clear and foldable to fit tight parking spaces. Touring, Sport and Limited models also feature auto-dimming capability and new LED turn signals for added safety, visibility and style. There’s not much debate about it: the better your lights, the more you see. Standard on Touring, Sport and Limited models, the new multi-reflector LED fog lights cut through murky conditions, improve nighttime discernibility and bring new levels of safety to every inclement-weather driving experience. The refreshed Legacy is more refined and sophisticated than ever before. The passenger cabin is one of the most spacious in its class. Newly refined materials and increased sound-deadening measures have been added, while a new steering wheel gives the driver an even better feel for the road ahead. A host of other desirable amenities will keep your passengers in comfort mode for the entire journey. To a Subaru engineer, safety is not only a concern, it’s a cornerstone. This is why Subaru builds vehicles that inspire confidence and deliver superior levels of protection through the use of the most technologically advanced active and passive safety systems available. 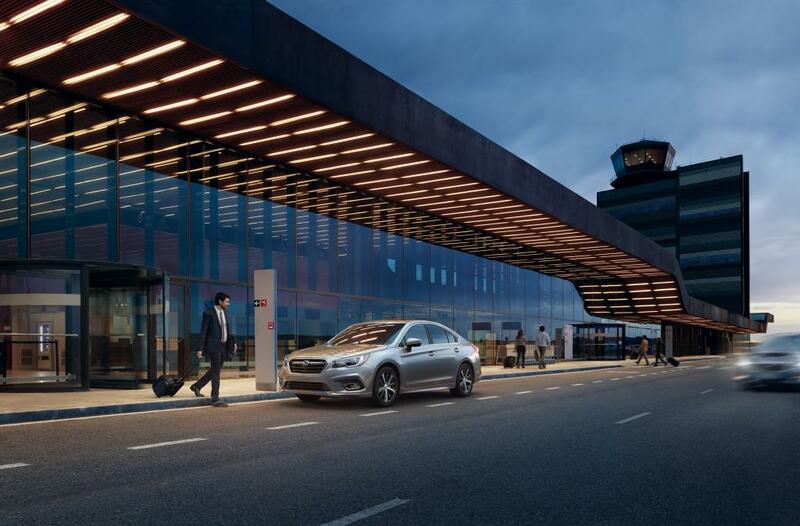 No surprise, then, that the new Subaru Legacy has raised the bar again with enhanced safety systems designed to keep all occupants safe and sound. 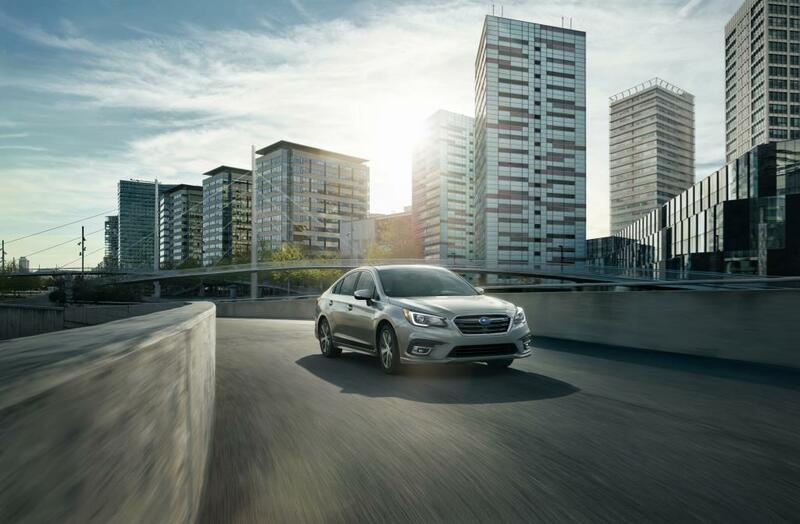 At the core of the new Subaru Legacy is the stuff of legend: Subaru symmetrical full-time AWD, the SUBARU BOXER engine, an ultra-strong chassis, and a long-travel independent suspension system for a smoother ride and more control. This core technology is the reason why the Legacy stands apart from the crowd, delivering unmatched levels of handling precision, all-road/all-weather capability and confidence-inspiring reliability.